With the recent hot weather and continuing heatwave across the UK, MPs have called for employees to be sent home if the temperature reaches 30C at work. 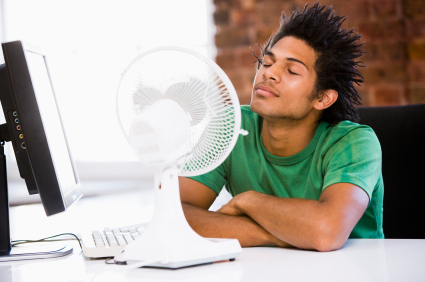 “Whilst there is a legal minimum workplace indoor temperature there is no legal maximum workplace temperature, so conditions can vary greatly from employer to employer,” the motion said. In order to resolve this issue, MPs have urged the government to introduce maximum working workplace temperature of 30C and 27C for people doing strenuous work. Furthermore, TUC also called for the same maximum legal temperatures with TUC general secretary Frances O’Grady saying that: “Extreme heat can be just as harmful as extreme cold, and so long as there is no legal maximum working temperature, many of the UK’s workers are likely to be facing conditions that are not just personally unpleasant, but which are also likely to hit their productivity. “As soon as the temperature starts to soar and begins to nudge 24OC, employers should be allowing their staff to dress down for summer and make sure that plenty of fans, portable air conditioning units and cold drinking water is available to reduce the heat in offices, factories, shops, hospitals, schools and other workplaces across the country,” she said. Workers denied this support will feel lethargic, and lack inspiration and creativity, the TUC warned. Twenty-two CEOs and chairs, including BT Group, B&Q, Ford, Tesco, John Lewis and Lloyds Banking Group, have come together to launch the Agile Future Forum (AFF), which aims to develop practical support to increase flexible working practices across the UK. 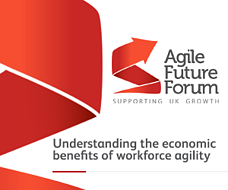 As part of its launch, the AFF has published a report, Understanding the economic benefits of workforce agility, which found that workforce agility has enabled UK employers to enjoy benefits equivalent to between 3% and 13%of workforce costs. It also identified scope to increase cost savings by a further 3-7% and, in some cases, up to 11%. The report identifies how traditional models of work are coming under pressure, and that new agile models of work will be needed to deal with the challenges and opportunities created by technology, changing customer demands, globalisation and demographic shifts. In addition to the report, the AFF has developed a range of practical support that enables organisations to consider workforce agility. Win Bischoff, chairman of Lloyds Banking Group and chair of the AFF, said: “Creating agile workforces has helped AFF companies to compete in the global market. We believe agile working practices could help other UK businesses too." Nick Clegg, deputy prime minister, added: “The Coalition government believes that a more flexible approach to working practices can deliver real benefits for business, the economy and families". “The leadership being shown by the Agile Future Forum on flexible working practices is an important input for helping British business to be competitive in the global market place". 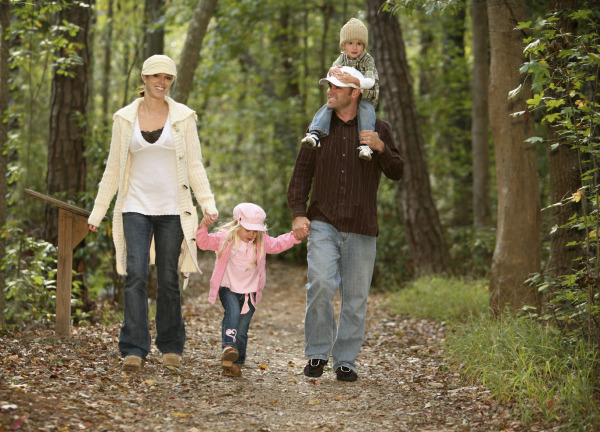 “From 2015, the government will introduce an entirely new system of shared parental leave. And working families will also get £1,200 of free childcare a year for every child under the age of 12”. Jo Swinson, employment relations minister, Department for Business, Innovation and Skills (Bis), said: “We know that flexible working is good for business. It can boost motivation and productivity of staff and ultimately help support growth of our economy. “I welcome organisations taking the lead on this issue and demonstrating to other business how valuable flexibility can be. Sharing best practice is important in making sure that flexible working becomes the norm.This report by the Agile Future Forum provides clear evidence to show this". According to Swinson, giving employees and employers the chance to plan their working patterns leads to a more engaged workforce and reduces turnover of staff, which will help business grow and in turn support a stronger economy. 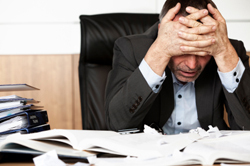 30% of UK HR Directors say employee burnout is common within their organisation according to new research from Robert Half UK with the figure rising to more than 35% for those based in London, the South East and publicly listed companies. In terms of implementing initiatives to counteract employee burnout, HR directors are mainly looking at promoting a teamwork-based environment (50%), reviewing job function (45%) encouraging team-building activities (34%), providing flexible working options (34%) and encouraging employees to take time off (31%). Today is “Blue Monday”, officially the most depressing day of the year. According to psychologists, a combination of bad weather, financial stresses, and shattered New Year's resolutions have teamed up to make the 3rd Monday in January, the most depressing day of the year. Employers see elevated levels of absenteeism during this time, with employees calling in sick with the flu or even Seasonal Affective Disorder (SAD). Days are short and lack of light has employees feeling unmotivated. While the “science” behind Blue Monday may not really be science at all, this time of year is a great opportunity for employers to think about their policies and what they are doing to bring work-life balance to their employees. Employees are dealing with lower motivation this time of year, and the feeling of a need to take action. How, then, as an employer can you assist them to get through it? If you currently have work-life balance programs on offer, make sure that your employees are taking advantage of them. If you don’t currently offer flexible working, consider it for 2013. Flexible Working brings many benefits to an organisation and at this time of year, it enables employees to make the most of their daylight hours. Arriving and leaving work in the dark, can be very demoralising and flexible working gets over this problem. Furthermore, during this time of year, it's not only work that suffers due to low motivation, but personal tasks do as well. When employees leave the office in the dark, there is little motivation to run personal errands. Stress levels increase, as more tasks end up not getting done and lists get longer. By assisting your employees keep on top of things in their personal lives, they will stay focused, motivated and engaged at work. Free Webinar: Could Flexible Working Work in your department or organization? The iOpener analysis shows that Generation Y, the digital cohort born after the early 1980s, are motivated to stay with their employer, and to actively recommend their organization to friends, by the level to which they are fulfilled their job, rather than levels of pay. This new analysis urges management to pay particular attention to employee feelings of engagement, empowerment, purpose and future development if they are to retain and foster young talent in their company. Specifically, Generation Y needs to feel that their work has a strong economic or social purpose. They need to feel proud of their organization and the work that it does. Incremental pay increases will not, on their own, motivate and retain Generation Y employees. Furthermore the report established a relationship between word of mouth recommendation and job fulfilment. Jessica Pryce-Jones, founder director of the iOpener Institute, said that leaders needed to pay attention to employee feelings of engagement, empowerment, purpose and future development if they were to retain and foster young talent in their company. “Recruiting talent is expensive, so measures which retain younger staff saves hard cash, and avoids expensive business disruption,” she added. Spread the word every time there is a reason to be proud. Do this often and by word of mouth; use stories to create engagement. Build pride within the organization by giving recognition to employees and colleagues. Make it a habit and do it regularly for all types of achievement. Create visibility internally about the impact of the organization’s work and how it benefits others, economically or socially. Link the work that individual Gen Y employees do to that bigger picture. 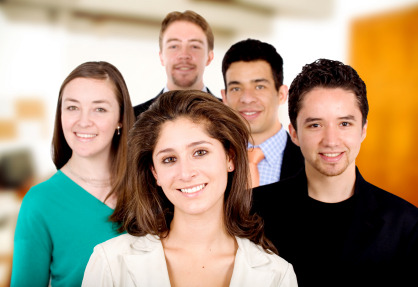 Ensure that Gen Y employees understand the opportunities on offer within the organization. Tell them how challenging and interesting their future opportunities will be. We may only be a week into the New Year, but today marks the predicted job-hunting peak of 2013, according to new research from recruitment company Job Bounties As the first full working week after the festivities begins, an estimated 11.84 million people are expected to begin a new job hunt, in what has been dubbed National Job Hunt Day 2013. This is based on historical patterns 2008-2012, 2 in 5 people within the workforce look for new work or new jobs in January. For many companies who want to retain key staff this is not great news. In fact, according to research by recruitment firm, Robert Half, 79% of UK HR directors are very worried about losing staff in 2013. The study of 200 UK HR directors found that respondents are very concerned about losing their top performing staff, while they believe that one in five of their employees will be looking for a new job. From the research, it is clear that HR directors understand the importance of staff, with the study saying that employees are the single most important commodity for organisations, and any loss in resourcing, particularly of a valued employee, can have serious consequences on growth and profitability. Attracting and retaining talent continues be top priority for organisations of all sizes and industries for 2013. It’s the difference between success and failure for many businesses. Recruiting the best is only part of the challenge - retaining these bright sparks is also key. If your organisation is worried about retaining key staff in 2013 and does not have the big bucks to compete with other companies on pay related benefits, the good news is that pay is not actually the driving force for employees jumping ship. One of the key trends in recent years for a job change is employees seeking more flexibility and better work-life balance. In fact, many organisations today are watching employees leave for jobs with less income but greater flexibility. So if you are worried about your key staff leaving in 2013, and don’t currently offer flexible working, it might well be a worthwhile and achievable New Year’s resolution for both you and your organisation. Despite uncertainty in the job market, the top reasons working Americans say they stay with their current employers are work-life fit and enjoying what they do, according to a survey by the American Psychological Association (APA). Fewer employees cited concrete reasons for remaining on the job, such as benefits, pay and a lack of other job opportunities. The Workforce Retention Survey, which was conducted among employed adults age 18 and older, examined the factors that contribute to employee retention. More than two-thirds (67 percent) said they choose to stay because their jobs fit well with the other aspects of their lives. The same percentage said they stay at their current jobs because they enjoy the work they do. Even with the slow economic recovery and relatively high unemployment, only 39 percent of respondents cited lack of other job opportunities as a reason for staying with their current employers. "Americans spend a majority of their waking hours at work and, as such, they want to have harmony between their job demands and the other parts of their lives," says David W. Ballard, PsyD, MBA, head of APA's Psychologically Healthy Workplace Program. "To engage the workforce and remain competitive, it's no longer sufficient to focus solely on benefits. Today, top employers create an environment where employees feel connected to the organization and have a positive work experience that's part of a rich, fulfilling life." The survey also found differences based on gender and age: More women than men cited both work-life fit (72 percent vs. 62 percent) and enjoying the work (72 percent vs. 63 percent) as reasons they stay with their current employers. Smaller differences were found between the percentages of women and men who reported staying at an organization because of the benefits (61 percent vs. 59 percent), the pay (57 percent vs. 62 percent) and their job giving them the opportunity to make a difference (49 percent vs. 52 percent). Working Americans age 55 and older were the most likely to cite enjoying the work (80 percent), work-life fit (76 percent), benefits (66 percent), feeling connected to the organization (63 percent) and having an opportunity to make a difference (57 percent) as reasons for staying with their current employers. According to the Chartered Institute of Personnel and Development (CIPD), it is in employers' interests to enable older workers to remain in employment for as long as possible, with more than half (56%) of those over the age of 55 planning to remain in work beyond state retirement age. "As a result, those businesses that are proactive in addressing the challenges of an ageing workforce will gain a significant competitive edge, both in terms of recruiting and retaining talent, but also through supporting the wellbeing and engagement of employees of all ages." She added: "The business case for older workers is strong and research shows their impact and experience within the organisation enables better customer service, enhanced knowledge retention and can help to address talent and skills shortages. However, despite this, our research found that more than three-quarters (76%) of older workers reported that their employers had not made any reasonable adjustments to help them carry on working. 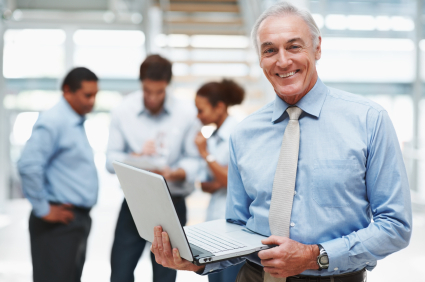 "Even though over half (52%) of older workers reported that the impact of ageing has only had a very small impact on their ability to do their job, some small changes to their workload, working hours or even working environment might enable them to remain longer in the workplace and possibly even increase their productivity. Many employers are missing a trick and losing key talent from their organisations by failing to offer flexibility in the workplace." Skilled HR Management can ‘boost company profits’? New research has highlighted that companies who are equipped and skilled in key HR Management Practices are performing up to 3.5 times the revenue growth of less capable companies and almost 2.1 times the profit margins. The report was undertaken by the Boston Consulting Group (BCG) and the World Federation of People Management Associations (WFPMA), based on 4200 HR and non-HR managers in more than 100 countries worldwide. It measured companies in relation to 22 HR areas and then went on to compare to the firms economic performance. The report found a direct relationship between economic performance and HR capability in areas such as recruiting, employee retention, talent management, employer branding, performance reward and leadership development. Of these, the three most fundamental areas were leadership development, talent management and performance management/reward. Would you like to bring your baby to work…? I once worked in a place where you could bring your dog to work. The story goes that the original owner of the company used to cycle to work every day and his fine mutt used to run behind the bike. Through the streets of London, I might add, so I’m sure it was a fine sight. Our credit controller had a German Shepherd – looked a bit fierce but was a gentle old thing. Bit like the credit controller really, they do say that dogs resemble their owners but that’s another day’s blog! So back to the babies at work question. I don’t have a dog but I do have 2 little ones and I have to say, I can’t think of anything worse than bringing them to work. Not everyone thinks like me though. UK Car company Addison Lee, think it’s a great idea and have introduced the first UK scheme that allows their employees to bring their babies to work with them. The ‘Babies in the Office’ program sees new mothers and fathers look after their babies at their desks, rather than putting them in an on-site crèche or nursery. Addison Lee which is Europe’s largest minicab and chauffeur business originally trialled the experiment for a BBC documentary, but have now formally implemented the scheme at its London office, where 900 workers are based. They have already welcomed eight babies onto its Euston site as part of the scheme, which is designed to encourage staff to return to work after maternity leave. A first for the UK but this idea has already been successfully adopted by 170 firms in the US, and has seen more than 2,000 babies brought into the workplace there. Griffin added that he hoped the US scheme would be implemented on a wider basis in the UK, as it offered advantages to both employers and employees. “The scheme has a number of significant benefits for both our staff and the business, from increased staff loyalty and retention through to elevated morale resulting in improved productivity,” he continued.